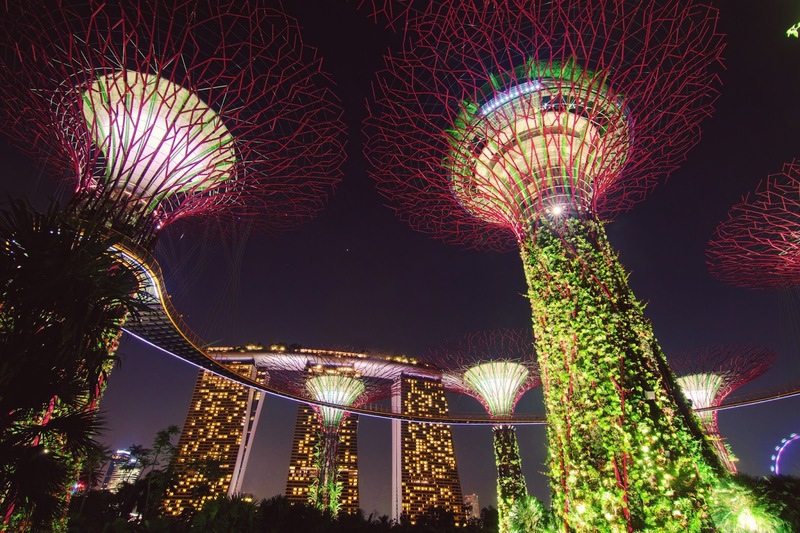 The Gardens By the Bay was commissioned by the Singapore government as part of their strategy to take Singapore from a "Garden City" to a "City in a Garden" . 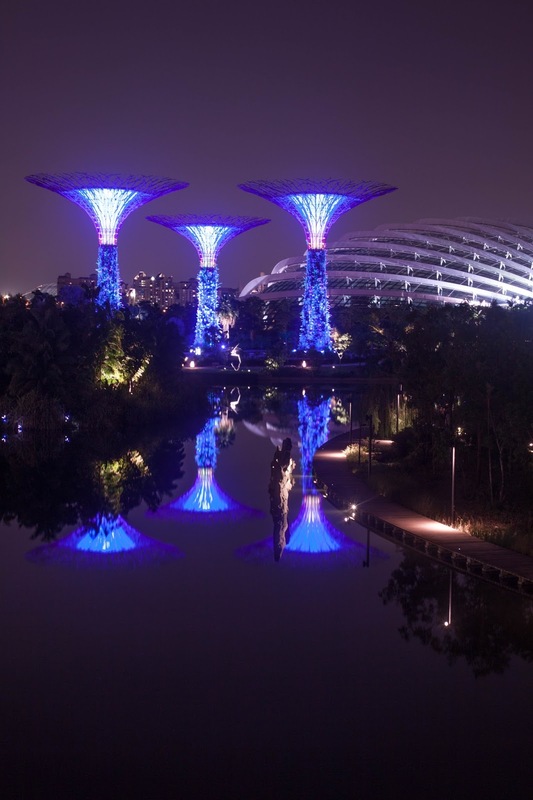 Even for someone who is not interested in flowers and plants this place will still amaze you, at night the garden looks like a scene from the movie Avatar. 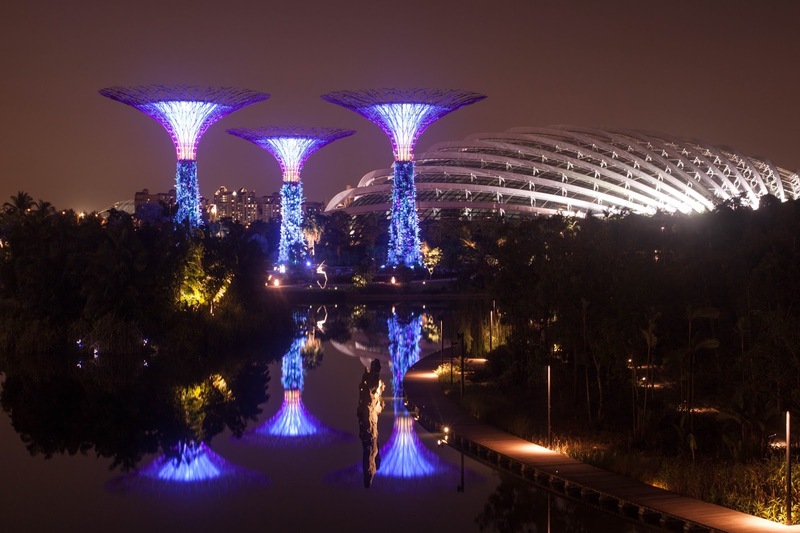 The Super Trees are the most iconic object at the Gardens By the Bay, they are giant metal tree like structures with a canopy that proves shade during the day. 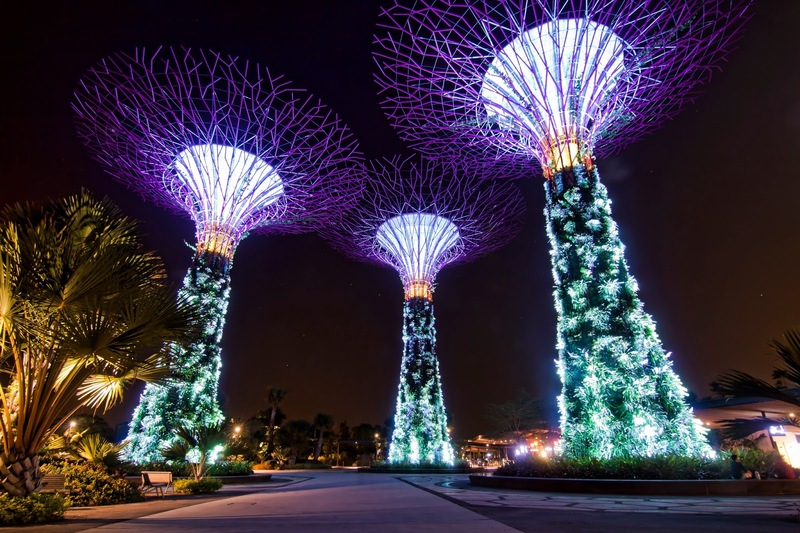 Super Trees come to life at night with an amazing display of light and sound. 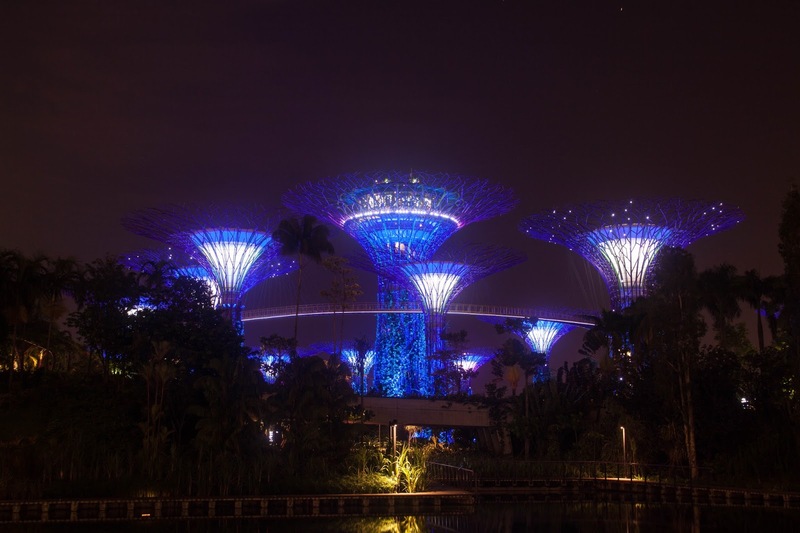 The lights are powered by solar cells for energy conservation and the light show happens daily from 7:45 to 8:45 pm. The best time to visit the park would be around 5 pm that was you get to see the natural beauty of the plants and flowers. Once the sun sets, artificial lighting take over and it literally transforms the place. There is also a Canopy Walk that you must not miss ! the height of the canopy is at 30 ft; the same height of the canopy at a rain forest. 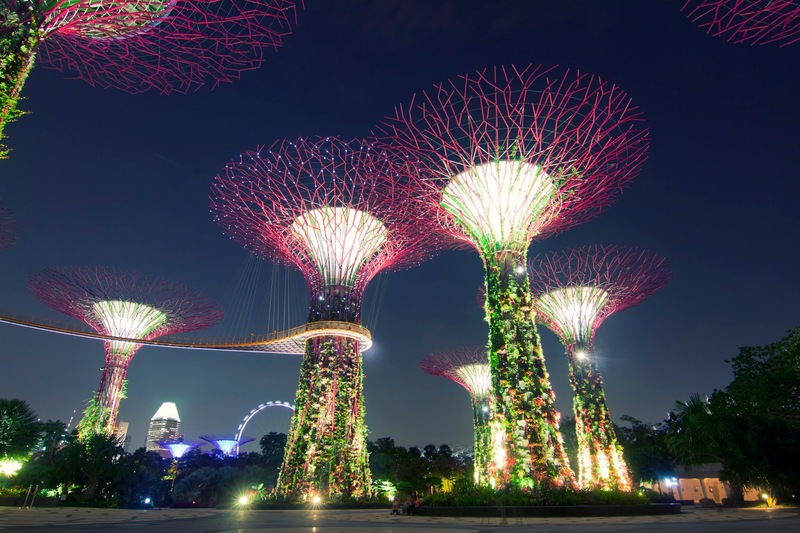 You can plan to visit the gardens along with Marina Bay sands as they are just a short walk from one another. The park is adjacent to Marina Bay Sands and there is a bridge connecting the hotel and the garden. By MRT you have to take the circle line and get down at Bayfront station. All photos were taken with a Canon EOS 50D , Sigma 10-20 mm f4 and Tamron- 18-50 mm f2.8 . I use a tripod for most of the shots, its a must have if you want good images at night.